Like most modern muscle cars, the new 2010 Camaro suffers from significant understeer and body roll. Hotchkis Sport Sway Bars are one of the fastest, easiest and most dramatic modifications you can make to the new Camaro, virtually eliminating body roll, dramatically improving steering response and control. 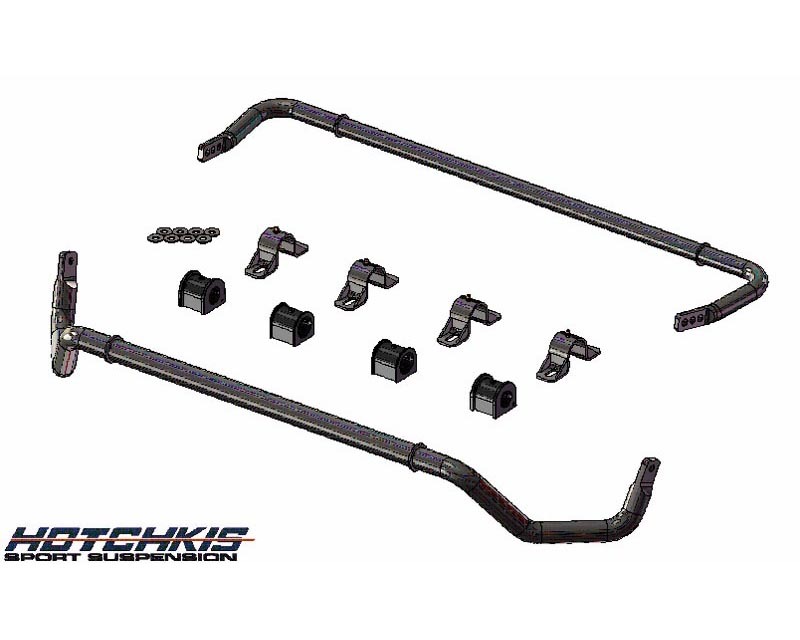 A high-strength tubular 1.25” front bar and three-way adjustable 1.00” rear bar allow you to dial-in the way the car responds to throttle steer and driver input. All the necessary hardware and complete installation instructions are included and the bars are designed, tested and manufactured in the USA.